Velkommen til Familiekafe i Fossum kirke på onsdager fra kl.13-17. Vi starter 9. jan. Welcome to Familiekafe (Family Cafe) in Fossum church on Wednesdays from 13 -17 hours. We start on the 9th of January . Velkommen til Familiekafe i Fossum kirke på onsdager fra kl.13-17. 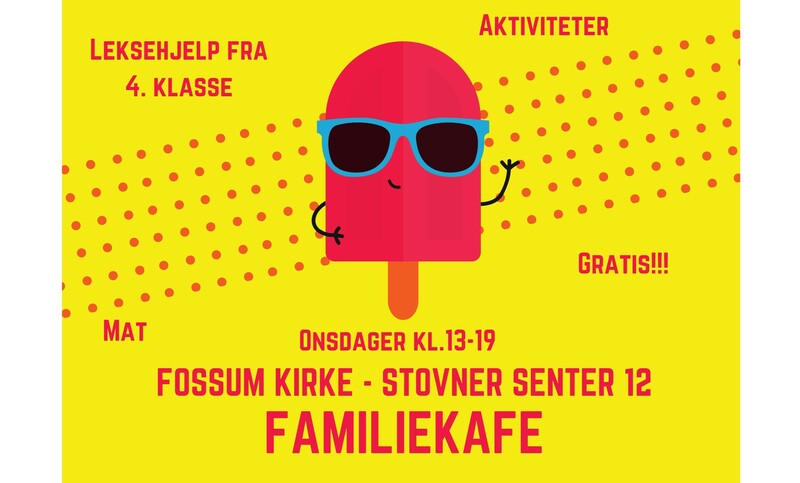 Welcome to Familiekafe (Family Cafe) in Fossum church on Wednesdays from 13 -17 hours.